Cartoon Christmas Classics: Which is Your Favorite? I love all the classic Christmas cartoons. They remind me of being 7 years old and staying up past bedtime to watch a cartoon at night that was only broadcast once a year. 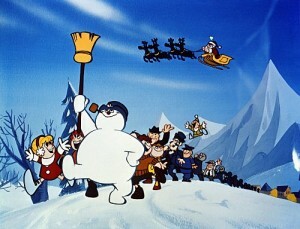 It would be a whole another year before I got to watch Frosty the Snowman again. This is a big deal when you are 7 years old in the Eighties. Now we can pick up a whole collection of our favorite classics in a DVD package at Costco for $23. I checked this weekend, but I didn’t pay for them this year. My favorites are being searched out on the network and cable channels, recorded, and saved on my DVR until January. I am so thankful that my 2 year old daughter will sit and watch them with me. I now have an excuse to watch “How the Grinch Stole Christmas” at least 10 times this month. Here is a list of some cartoon Christmas classics. Which are your favorites? Do you have a special memory with one them? 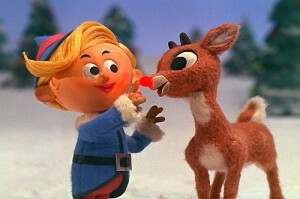 Will you always remember Hermey the Dentist Elf? Do you tear up when Linus gives his speech about the true meaning of Christmas? Does A Christmas Carol weird you out a little? Do you remember the Heuy, Dewey, and Louie and how they wished for it to be Christmas every year? Okay, after all these questions. I seriously watch too much TV or maybe I just have a good memory! haha. While Christmas is by far the most important holiday in December, there are a few other fun days you can observe with your kids during the month. 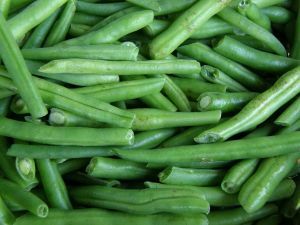 Participating in these days and observances can add a few extra ideas for crafts and learning projects. Read a New Book Month – So this one is pretty self-explanatory. Pick up a new book and read it with your kids. If they are old enough for a novel, choose a classic, like Charlotte’s Web. Or better yet, find a great Christmas book to share with your kiddos. National Cookie Day (December 4th) – What a great way to have fun… bake and eat! Even the littlest member of your family can help decorate cookies and you can teach the older kids about measurements by letting them measure out sugar and flour. Saint Nicholas Day (December 6th) – Saint Nicholas Day is a fun way to talk to your kids about the generosity of others and to teach them about how Santa Claus came to be. Have fun reading ‘Twas the Night Before Christmas (or originally written as A Visit From St. Nicholas) with your family to give them an even more fun idea of Santa. National Poinsettia Day (December 12th) - A fun way to teach your children about this particular species of plants is to visit a nursery where they can see the different colors that poinsettias come in. They can come in orange, pink, pale green, white and cream as well as the traditional red. Create craft projects to decorate your house for Christmas or buy some real plants. Just remember, if you do use the real kind, keep them away from your pets and children’s reach, as they can be poisonous. Wright Brothers Day (December 17th) – Teach your children about the history of aviation by telling them of the adventures of the Wright brothers. Visit the official Wright Brothers museum site for more information. Craft ideas can include making paper airplanes, putting together a model plane or just coloring or painting them. First Day of Winter (December 21st) – Don’t forget to explore all the wonders of winter on the first official day of the season. Visit the Zoo Day (December 27th) – If you live in the south, take advantage of the nice cooler weather to visit your local zoo. December 27th falls on a Sunday this year, so most likely your family could all go together as a big family outing, grandparents included! While I absolutely LOVE Christmas, there are definitely times when I feel like my kids can get “Christmas’d out” and that it’s a good idea to mix things up a little! Have fun, explore the history behind some of these days and take the time to enjoy the month! Do you celebrate or observe any of the above days? How do you do it? Do you have other specific days that you remember and honor? Guard Your Joy and Peace this Holiday! This post was originally published on Dec. 21, 2008, but I think this is a wonderful reminder for this year too! 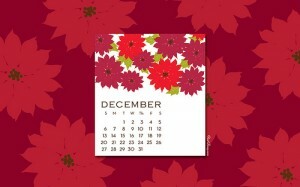 Today is the first day of December and this month is going to fly by FAST! Let’s remember to enjoy it! Say no when we need to. Get off the computer when we need to. Get on the carpet with our children. Laugh. Eat. Enjoy. Count our blessings! The Christmas cards sitting on my mantle are bellowing at me in their cursive gold fonts to have a joyful and peace filled holiday season. I think the cards are mocking me as I run about town shopping and stressing about cookies and wrapping presents. I do desire to have joy and peace over the next two weeks and I am determined to guard my joy and peace. Joy stealers come with many different faces. Unmet expectations certainly steal your peace when you are disappointed and upset. Anger is a form of unmet expectations. So next time you are angry ask yourself which expectation you had wasn’t met. Then you have the choice to look at a situation logically or choose to just get over it. My spiritual mom would ask me when I was upset “What is the worst thing that can happen?” Once you worked out a situation backwards, you realize that it is just money, stuff, a bummer, or a disappointment. Then you come out thankful that you are alive and everything is relatively okay. Unresolved conflict steals your joy when you are fighting with a your spouse, family member or a friend. Some conflicts can be resolved quickly. While others have been the elephant in the family living for years. My parents have unresolved conflict between themselves as long as I have been alive, but I decide not to take sides and not let their conflict between each other bug me. They are both wrong and my only concern is their relationship between them and me. Even when they complain about the other to me, I have to let their comments roll off my back. Sometimes putting on a hard shell and letting stupid comments roll off my back is my way of guarding my peace and joy. There are joy stealers on the road! They steal parking spaces, go too slow, block the parking lot by waiting ten minutes for someone to load up their car and start it just so they can walk 20 steps closer to the door. One joy stealer may even be in the driver’s seat of the car! Your husband may be driving like a maniac or not going the route you would have gone. Just close your eyes and remember you will get there eventually. Remember the big picture and keep your peace. What does Christmas mean to you? Is it spending quality time with your family? Is it remembering the Savior coming to earth so we can spend eternity in heaven? Is it being generous to others or a good time off from work? Whatever reason you celebrate Christmas, remember the big picture when something goes wrong and ask yourself if the big picture is still being accomplished. Don’t sweat the small stuff. As you have joy and peace the rest of your family will feel it too. Don’t keep that joy and peace to yourself let it radiate from you wherever you go! How do you plan to guard your peace and joy? Are you having a rough holiday season or this one being pleasant to you? The holidays are a time of excitement and family. Growing up, we are shuffled to this relatives house or that one’s house to see family and eat wonderful meals prepared with love. As we mature and start our own families, it’s only natural that we would want to start our own traditions. 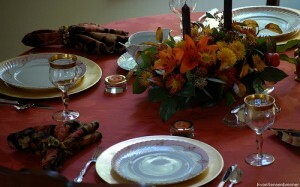 This year, my family opted to have a small Thanksgiving at home with just us and my Mom. Now, we can’t say that this will be our annual tradition, but it’s nice to break from the mold once in a while and do something a little different. How will everyone else take it? It’s always important to consider how other family feels about you ducking out of the normal traditions and starting your own, especially if that means not participating in the usual festivities. What kinds of things do you want to do? When merging two families (yours and your husbands) there will obviously be two or more ideas of how to do things. Sit down and discuss how you both would like your family to celebrate the holidays, what traditions are especially important to both of you and what things you don’t want to do. How can you get things started? When starting new traditions, it’s not important that you do everything the first holiday. Don’t feel obliged to get it perfect from the get-go. Remember that your family has most likely been doing the same thing for years and that they started out slowly too. I think it’s a great idea to start your own traditions and have fun doing it. Let your kids help out with decorations and cooking/baking. Let them be a part of incorporating the new ideas and activities so that they feel they connected to the holidays and are not just spectators. Have you ventured out on your own and started your own holiday traditions? What was the most difficult part for you? How did you get started?